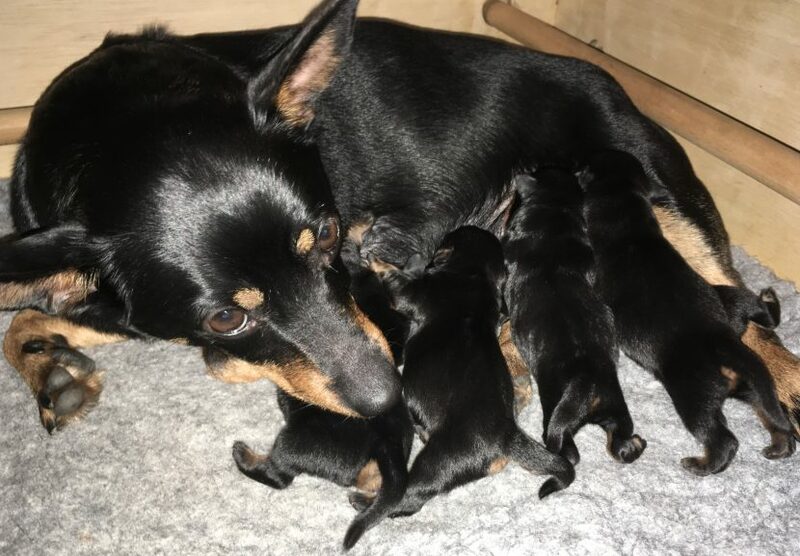 We are thrilled to announce that Dora, Madincrowd Bathsheba, has given birth to five gorgeous puppies. Mum and pups are all doing well. Dad is the handsome Sox, Welshmoor Bobbysox, owned by Debra Dawes. More news and photos to follow …. Pickle was looking a bit fed up, the puppies were all sleeping peacefully so what to do? Wash them! Not brilliant quality but another little video of the gorgeous puppies snoozing whilst Mum Pickle is off eating again! She constantly grazes on a varied menu which includes goats milk, scrambled egg, sardines in tomato sauce, sachets of puppy food, Akela kibble, fish sticks, greek yoghurt, cottage cheese, salmon, raw steak mince – the list goes on! Thankfully she is doing well and being an amazing mum, the pups are gleaming and constantly washed at both ends, much to their annoyance at times! 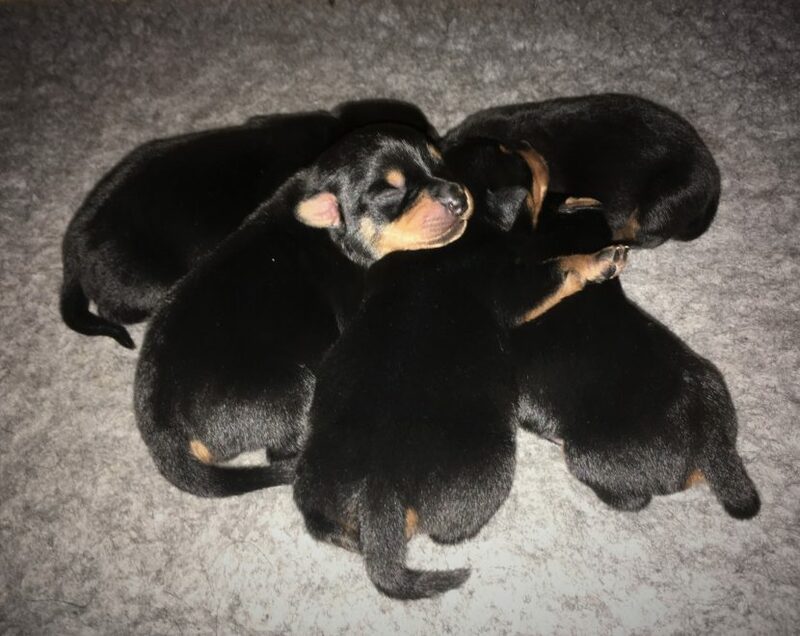 Pickle is an excellent and attentive mum and very protective of her offspring – here are her puppies at 10 days’ old, all doubled their weight and super cute!